The summer sun is wonderful, but can be pretty unforgiving when it comes to our skin. I am always using sunscreen on myself and the children but some days, it seems like nothing keeps the sun from burning our skin! My children are especially susceptible because they have very fair skin so I am always keeping a close eye on them. I have worked with Annmarie Gianni in the past and just love all of their products. The scents are clean and beautiful and the products are amazing to use on my skin. I think my all time favorite product of theirs is the Dead Sea Scrub...oh my. It is incredible! Recently though, I was introduced to Annmarie Gianni's newest skin care product and this one is specifically formulated for those of us who love being in the sun but still want to protect our skin! Sun Love Natural Sun Protection was just released and I was sent a sample to try out and share with all of you. Sun Love is our natural sun protection solution. This product contains a transparent zinc oxide, containing no harmful nanospheres, which provides excellent sun protection. 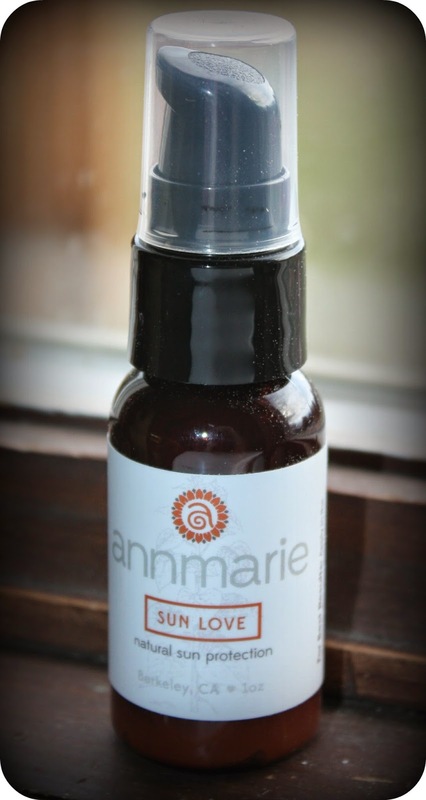 The antioxidant herbs and oils help neutralize the effects of damaging UV rays. I always welcome the opportunity to try out sun protection products, especially when they are natural like Annmarie Gianni's line! So, for this review I was sent a sample of their Sun Love Natural Sun Protection. This sunscreen helps to prevent sunburn and skin aging due to sun exposure and it also nourishes and moisturizes skin. I also like how this sun protection is perfect for all skin types. The biggest surprise for me was when I pumped some Sun Love into my hand and discovered that it looked like makeup foundation! It is tinted to blend in nicely with your skin which is so different than the white sunscreen that I normally would use. When I tried out Sun Love it definitely did blend in with my skin and was not greasy or oily at all. I didn't have to wash my hands after using it either and was very impressed with how nice this product smelled. Like I said the size bottle I received was a sample size but when you order you will get a full-sized bottle which is 2.5 ounces. Sun Love Natural Sun Protection retails for $40 and is available directly from Annmarie Gianni's website. Be sure to check out Annmarie Gianni on Facebook and also on Twitter. I would highly recommend these products to anyone who is looking for a more natural route when it comes to their skin care routine. Disclaimer: I received no monetary compensation for this post. I did receive free Sun Love Natural Sun Protection for review purposes. All quotes and stock photos are from the Annmarie Gianni websites and email. All thoughts and opinions are 100% mine.